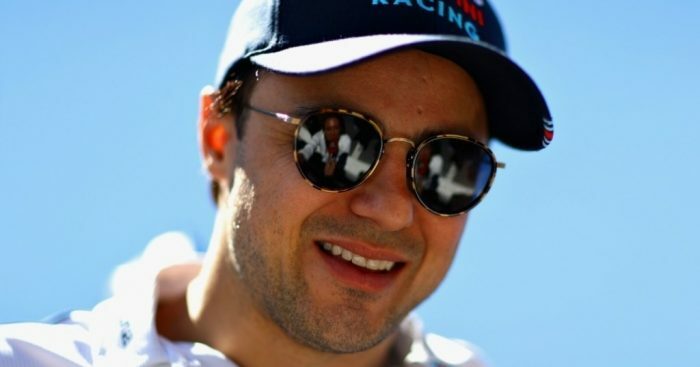 Felipe Massa has said he knows who is replacing him for the 2018 season at Wililiams, but would not reveal the identity of the driver. After the second attempt, Massa is retiring from Formula 1 following the Abu Dhabi Grand Prix this weekend as he stepped back into Williams car when Valtteri Bottas joined Mercedes. But Williams are now one of the last teams to fully announce their 2018 line-up and are set to officially confirm the news after their post-season test next week. Robert Kubica is the strong favourite to be announced as Lance Stroll's partner, but Daniil Kvyat, Pascal Wehrlein, Sergey Sirotkin and Paul di Resta have all been linked throughout the long process of finding Massa's replacement. Massa claims he has been told who has clinched the seat already, but that is as much information he is giving away. "I already know who it is, so I don't need to put money on it," Massa said when asked who he put money on to get the seat. "But I will not tell you." Massa was then asked whether he agreed with the decision, but is not too bothered about it given that he is leaving the sport. He added: "I hope it is the best option for the team. But I'm leaving, so it doesn't matter to me. "I am happy and I wish the team all the best."